Two men have been charged in a shooting at an Avon Park restaurant, Highlands County deputies say. On June 21, a gunman fired into Maryland Fried Chicken, 904 W. Main St., wounding one man in the leg. Investigators say they learned Erick Joseph Rondil, 25, had a falling out with the 25-year-old victim. The victim thought the issue had been settled, but Rondil learned the victim was at the restaurant. Investigators say Rondil borrowed a car the victim would not recognize and drove Somore Versace Fagan, 19, to the restaurant, dropping him off at the rear of the building. Fagan then entered the restaurant and opened fire. Fagan is charged with attempted first-degree murder, five counts of aggravated assault with a deadly weapon, firing a missile into a dwelling and possession of a weapon by a career offender. Rondil was charged with attempted first-degree murder, five counts of aggravated assault with a deadly weapon and firing a missile into a dwelling. 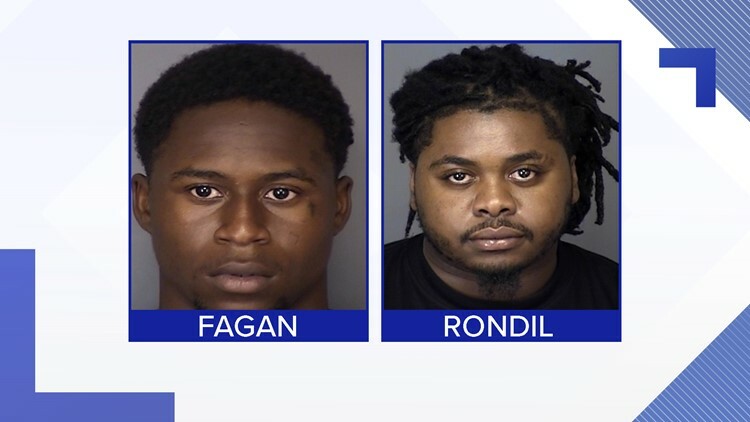 Fagan and Rondil were already in custody at the Highlands County Jail on unrelated charges when the new charges were added.